to Moro Hills Adonis, Orcland Royal Don, Sonfield and Lippitt Ethan Ash. 1990 Grey (bay base) Stallion. LS winner. Excellent photo shower. Pedigree traces to Moro Hills Adonis, Orcland Royal Don and Trophy. 1992 chestnut stallion. Excellent show horse, sire of champions in both halter and performance. Pedigree traces close up to Beamington and Waseeka Peter Piper. 1993 palomino stallion. Stunning color and morgan type! Multi champion Halter Stallion! Live Show Champion, Sire of champions. Excellent old Government breeding. Bred by Crosstimbers Ranch. 1994 dapple grey (chestnut base) stallion. Many times champion show stallion, excellent old morgan type! Lines include Fleetwing, Stetson, Todita and Royal Fleetson. and Corydon Prince. Sire of National champion show filly Foxfire Chyna Dahl, multi champion gelding Foxfire Playtime and National Champion Foxfire Cadet! 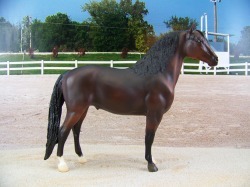 1994 bay morgan stallion. Un shown, Primarily Western Working lines tracing to Windcrest Splendor, Kingston and Bold Hawk. Bred by Jean Sorensen. lines tracing to Paragraph, UVM Highlight and Star Mansfield. 1997 bay Morgan Stallion. Champion halter stallion, bloodlines include Windhover Regency, Tedwin Topic and Trophy. Bred by WMHS. 1998 black stallion. Gorgeous old type and conformation. Champion show horse, sire of champions. Bloodlines include Delnores Desert Storm, Windhover Regency and UVM Highlight. Bred by Ber Ali Farm. 2003 grey (buckskin) stallion. Champion halter horse. Carries a cream gene from his dam, so can sire dilutes as well as grey. Bloodlines mostly Government/WW tracing to Fleetwing, Stetson and Waseekas In Command. 2003 bay stallion. Unshown, bloodlines to Wham Bam Command, Indiana Chinook and UVM Flash. Bred by Kathy Dodson/Me-Dow Stables. 2003 palomino stallion. Limited showing with good placings, blooodlines to Waseekas In Command, Helicon Pegasus and Richwood Morgan. Bred by Heather Mays/Green Mountain Stables. 2005 buckskin Morgan Stallion. Unshown. Excellent, old style morgan lines tracing to Moro Hills Mequon, Rapidan Revelry, Vigilmarch and Upwey Ben Don. Bred by Foxfire/Caballos Del Mar. 1982 black mare. Excellent show mare. Lines tracing to Senator Barr, Night Tide. 1983 Palomino Mare. LS Placed. Photo show champion. 2007 AMMHA Reserve World Champion Western Performance! Excellent lines with crosses to Crackerjack Sundancer, Mythic Alladin, and UVM Promise. 1988 palomino mare. 2009 MIJC reserve National Champion Lakeshore! LSP. Strong Lippitt breeding, lines include Lippitt Moro Alert, Lippitt Moro Ashmore, Dyberry Bob, Lippitt Billy Ash and Robbie Sue Morralert. Bred by Shanachie Stables. Silverhawk 2x, Tedwin Topic and Waseekas Nocturne. lines, with crosses to Waseeka's Nocturne, Hy Crest Satina. 1989 bay mare. Multi champion halter mare, LSP. Nice bloodlines including Royalton Perfection and Trophy. Bred by Covenant Farms. 1989 chestnut mare. Grand champion, Multiple times halter champion, outstanding old Morgan lines! Traces to Trebles Willy Wild, Orcland Royal Don, Chasleys Superman, Sonfield, Ulendon and more. OPEN; 95, 96, 97, 98, 99, 00, 01, 02, 03, 04, 05, 06, 07, 08, 09, 10, 11, 12, 13, 14, 15 Pensioned. 1990 buckskin mare. Champion show horse, LSW. Bloodlines include Applevale Boy King, Moro Hills Jeremy, Moro Hills Magician and UVM Flash. Bred by Shanachie Stables. OPEN: 95, 96, 97, 98, 99, 00, 01, 02, 03, 04, 05, 06, 07, 08, 09, 10, 11, 12, 13, 14, 15. Pensioned. 1990 Palomino mare. Live Show Champion, dam of Champions. Excellent Lippitt/WWF breeding! Close up crosses to Lippitt Bruce, Moro Hills Adonis and Yellow Bird. Bred by Crosstimbers Ranch. 1990 grey (chestnut) Morgan mare. Currently unshown. Bloodlines to Ulendon, Merry Knox and Beamington. Strong Brunk and Government breeding. 1991 black Morgan mare. Live show place, photo show placed. Bloodlines trace to Windhover Regency, Upwey Ben Don and Vigilmarch. Bred by Double Hart Ranch/Cory Hartung. crosses to Lippit Ethan Ash and Lippit Sam. 1992 Bay Mare. Excellent Show horse, Live show placed. Dam of an AMMHA National Champion Gelding. Superior lines with crosses to Upwey Ben Don, Tutor and UVM Enchantor. 1993 bay Morgan Mare. Unshown, bloodlines tracing to Whitmorr Limelight, Beamington and King Cole. Bred by Hidden Valley. 1993 chestnut mare. Unshown, Government and UVM breeding tracing to Vigildon, Waseekas Peter Piper and Kingston. Bred by Caballos Del Mar/Kay Myers. 1994 Chestnut mare. Unshown, excellent bloodlines! Traces to Immortal Command, Waseekas Kilarney and Tug Hill Commando. Bred by WMHS. 1994 smutty palomino mare. Currently unshown, excellent bloodlines including Royalton Perfection, Trophys Echo, Merry Knox and Diamond Jim Brady. 1994 dark bay mare. Live show placed. Close up crosses to Trebles Willy Wild, Vigilmarch and Tutor. Bred by Persimmon Hill. 1995 bay Morgan mare/ Live show placed, photo show placed. Bloodlines trace to UVM Lexington, Courier and Marvelous Mariner. Bred by Double Hart Ranch/Cory Hartung. 1996 bay mare. Unshown, Sire is primarily Lippitt breeding, dam is Lippitt /UVM/Government breeding. Lovely old style type! Bloodlines to Stillwater Indigo, Lippitt Sam, UVM Watchman and Vigilmarch. Bred by Ber Ali Farm. 1996 chestnut mare. Just begun showing and doing well. 100% Lippitt breeding, with multiple crosses to Royalton Ashbrook Darling and Equinox Royalty. Bred by Rocking M Ranch. 1996 chestnut sabino Morgan Mare. Currently unshown, bloodlines include Noble Command, Culpepper Crescendo, and Devan breeding. Bred by Samantha Kroese./VnV Stables. 1996 palomino mare. Champion halter mare, bloodlines trace to Waseeka Peter Piper, Beamington and Lin Kim Dancin. 1996 chestnut overo/sabino mare. Unshown, rare Overo pattern. Bloodlines to Beamington, UVM Watchman and Criterion. Bred by Cory Hartung/Double Hart Ranch. 1997 bay mare. 2008 MIJC Res. National Champion halter mare. Nice pedigree with close up crosses to Nobility and Windcrest Highlander. Bred by Rocking M Ranch. 1997 dun Mare. Rare Morgan color, bloodlines tracing to Robbi Sues Mr Alert, Fleetwing, Vaquero Mac and Chingdero. Bred by Rocket City Stables. 1997 buckskin Morgan mare. Multi champion halter mare, dam of champions. Government and Western Working breeding tracing to Townshend Vigildon, Waseekas In Command and UVM Dexter. Bred by Rocket City Stables. 1997 chestnut sabino mare. Champion halter and performance shower. 2009 AMMHA National Champion English Performance and National Champion Other Performance! Bloodlines to Forevermore, Waseeka Peter Piper, Kennebec King and Royalton Perfection. 1998 buckskin Morgan Mare. Limited showing with good results. Strong government breeding with crosses to Vigilmarch, Pecos and Royal Fleetson. Bred by Caballos Del Mar/Kay Myers. 1998 grey (bay base) mare. Limited showing with excellent results! Full sister to multi champion/grand Champion Foxfire Chyna Dahl. 1998 chestnut mare. 2009 and 2014 MIJC National Champion Josef, 2014 MIJC Nationals Overall Grand Champion. Multiple times champion halter mare. Bloodlines to CW’s Sterling Silver, Tedwin Topic and Royal Fleetson. 1998 bay mare. Currently unshown, bloodlines tracing to Trebles Talisman and Orcland Royal Don. 1999 Chestnut mare. Unshown, nice bloodlines including Ashley DeBoyd, Royalton Perfection and Lippitt Moro Ashmore. Bred by October Moon. 1999 chestnut mare. Champion halter mare, bloodlines tracing to Immortal Command, Beamington and Windcrest Supreme. 2000 buckskin Morgan Mare. Currently unshown, Bloodlines trace to Chasley Superman, Serenity Flight Time and Mr Breezy Cobra. Bred by Cory Hartung/Double Hart Ranch. 2001 grey (bay base) Morgan mare. Two time 2008 MIJC National Champion, many times Champion Halter filly, Year End winner, LSW. Great bloodlines including Ashley DeBoyd, Lippitt Flash Magic and Windcrest Supreme. 2001 dark bay Morgan Mare. Live show placed, photo show winner. Bloodline include UVM Promise, Noble Command and Shakers Destry. Bred by Kathy Dodson. 2001 black mare. Limited showin with good placings. Bloodlines to Shakers Rio, Tio Lalo, Triple S Red Cedar and Whispering High Beam. Bred by Randa Garrett/Twin Springs Stables. 2002 chestnut mare. Limited showing, bloodlines trace to Trebles Willy Wild, Tedwin Topic and Orcland Royal Don. 2002 buckskin Morgan mare. Champion halter and performance horse, excellent bloodlines tracing to Wham Bam Command, Waseeka’s Nocturne 2x and Trophy. 2003 chestnut mare. Champion show mare with bloodlines tracing to Noble Command 2x, Vigilmarch2x and Upwey Ben Don. 2004 bay mare. Limited showing with good results, blood lines trace to Royalton Perfection, Moro Hills Mequon and Kennebec King. Real time bred Foxfire foal, so has a permanent foal body. 2005 bay mare. Limited showing with good results, bloodlines trace to Meredith Bilirubin, Senatefield and Orcland Royal Don. Real time bred foxfire Foal, so has a permanent foal body. 2005 chestnut mare. Unshown, bloodlines to HVK Vigilmarch, UVM Flash and UVM Watchman. Bred by Heather Mays/Green Mountain Stables. 2006 black bay mare. Multi champion/Grand champion halter mare. YEA winner in multiple clubs. Bloodlines trace to Carlyle Command, Waseeka's Serenade and Applevale Monarch. Bred by Kathy Dodson/Me-Dow Stables. 2007 chestnut sabino mare. Unshown, bloodlines to Noble Command, CW's sterling Silver and Devan breeding. 2007 palomino mare. Excellent show filly, bloodlines to Justin Knox, Todita and Royal Fleetson. Real time bred Foxfire foal so has a permanent foal body. 2007 chestnut mare. Good show mare, bloodlines tracing to Meredith Bilirubin, Trophy's Jade and Immortal Command. Real time bred Foxfire foal so has a permanent foal body. 2007 bay mare. Good show mare, bloodlines tracing to Tedwin Topic, Lippitt Flash Magic and Windhover Regency. Real time bred Foxfire foal so has a permanent foal body. 2007 grey mare. Nice show record, bloodlines tracing to Trophy, Ulendon and Mr Breezy Cobra. Real time bred Foxfire foal so has a permanent foal body. 2008 palomino mare. Good shower in limited outings. Strong WW and Government bloodlines. Real time bred Foxfire foal so has a permanent foal body. 2010 chestnut sabino mare. Champion halter horse, bloodlines to Califonio, Forevermore and Royalton Perfection. Real time bred Foxfire foal so has a permanent foal body. 2010 chestnut mare. Champion halter horse, bloodlines to Waseeka Peter Piper, Beamington and Vigilmarch. Real time bred Foxfire foal so has a permanent foal body. 2010 bay mare. Champion halter horse, Live Show Winner. Bloodlines to Nobility and Windcrest Highlander. Real time bred Foxfire foal so has a permanent foal body.